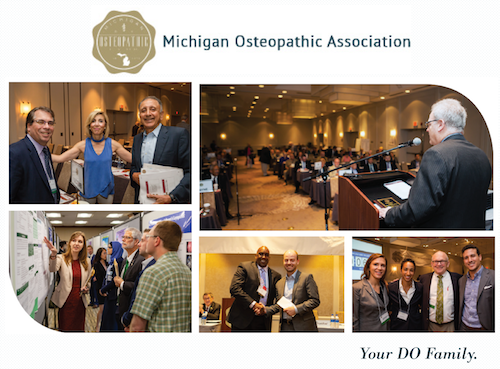 The Michigan Osteopathic Association (MOA) values the involvement of interns and residents. The MOA Board of Trustees includes positions on the board for a student and a resident. The MOA Council of Interns and Residents (CIR) offers opportunities to learn from those before you and pass that knowledge on to those who follow. The CIR provides a network of support on issues such as physician wellness, preparing for employment, starting your practice, contract negotiation, healthcare policy and legislative advocacy. Meetings for the CIR work around busy schedules and focus on planning educational events such as the MOA Spring Scientific Convention. Joining the CIR provides great benefits without a huge time commitment. EMPLOYMENT CONTRACT AND PRACTICE ACQUISITION DOCUMENT REVIEW SERVICE at a discounted, fixed fee! Visit the AOA Opportunities database to find current information on all AOA-approved internship and residency programs. In addition to outlining the standards for internship residency training programs, the Basic Documents for Postdoctoral Training (PDF) contain accreditation standards for osteopathic postdoctoral training institutions (OPTIs). Learn about AOA requirements for entry into postdoctoral training programs, as well as the procedures necessary to gain approval. Visit the "Resident of the Year" page to see past winners and information regarding the nomination process. Connect with established physicians and benefit from their knowledge through the AOA/AOF iLEARN Mentor Program.